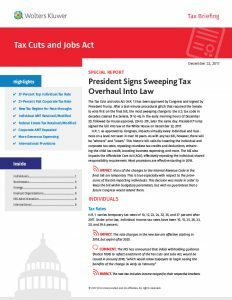 The Tax Cuts and Jobs Act has been approved by Congress and signed by the President. It impacts virtually every individual and business on a level not seen in over 30 years. Please download the PDF for more information, and contact us at 608-826-1900 with any questions.